We had been driving around the streets of this African city for more than an hour, and my companion — an agent from the national intelligence service whom I will call Mohammed — was excited by the implications of what he had been showing me. 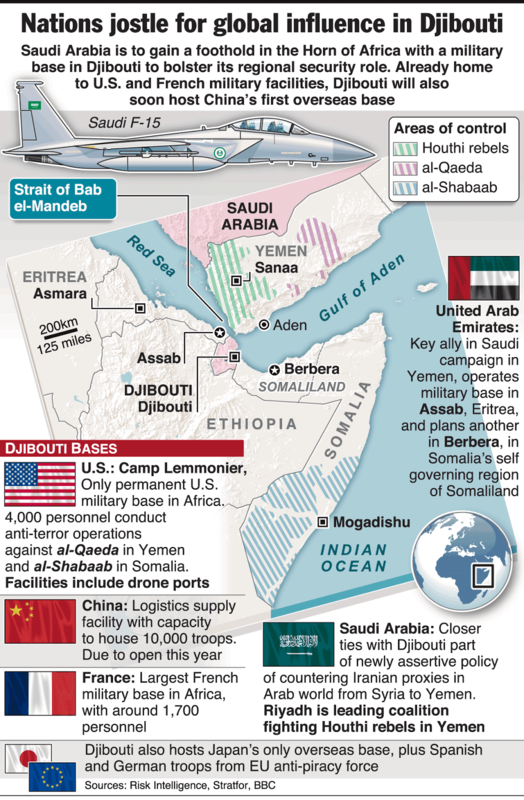 Strategically placed at the entrance to the Red Sea, commanding a large percentage of the trade and energy flows between Europe and Asia, Djibouti is home to more foreign bases than any other country. We drove by one of the four surviving French bases. The perimeter was wide, but the building immediately reminded you of an old Foreign Legion fort, with its run-down walls and picturesque watch towers. 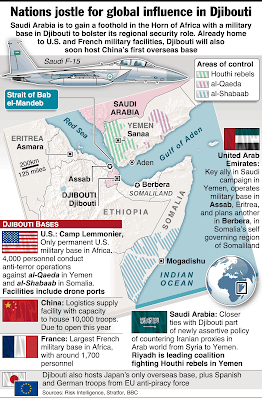 WNU Editor: Djibouti is definitely open for business .... if you can pay.